Last night(November 26th) 'Pose' star MJ Rodriguez worked the red carpet at the 2018 IFP Gotham Awards with FIJI water at Cipriani, Wall Street in New York City. 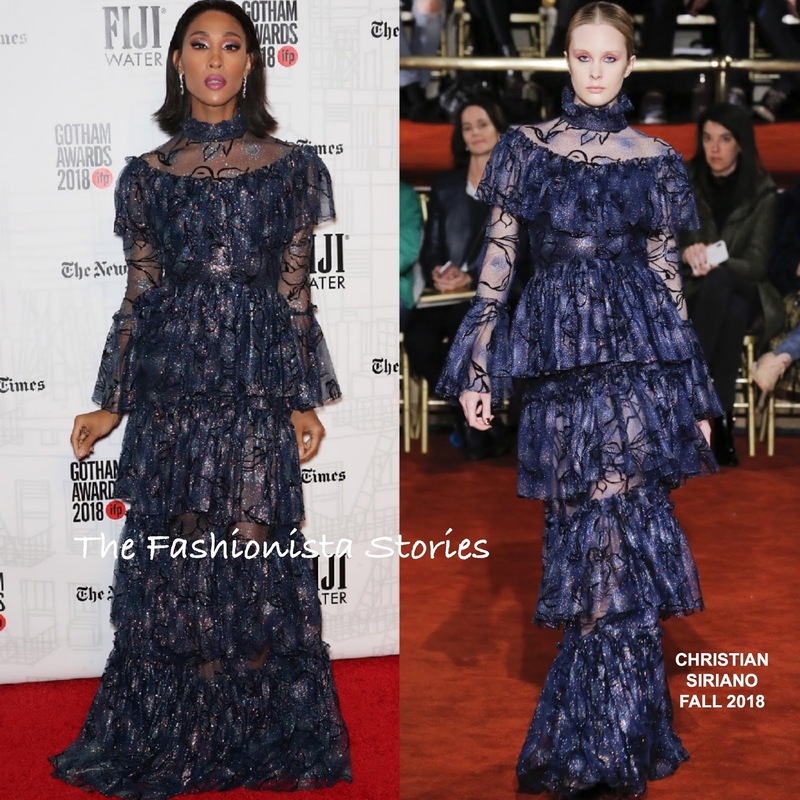 We have seen a lot of the CHRISTIAN SIRIANO FALL 2018 pieces on the carpet, especially the crystal velvet pieces. So thankfully MJ chose something different. She opted for a sheer navy glittery tulle, ruffle tier gown, featuring a high neckline, bell cuffs and a cinched waist. To ensure that nothing takes away from her playful, on trend dress, she pulled her hair back. She finished up with a flawless makeup look.